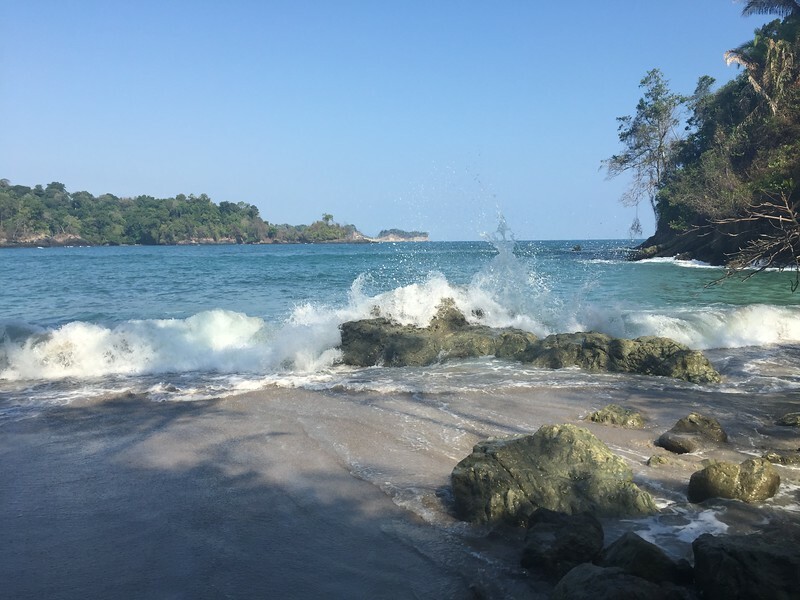 Manuel Antonio National Park is Costa Rica’s prized gem on the pacific coast. This is the countries most visited national park, mostly because of the great location. The park is situated just 2.5 hours away from the international airport in San Jose (Juan Santamaria International Airport) There has been a new road constructed that has cut the driving time nearly in half. The park is not only conveniently located close to the airport but also has other tourist destinations close by like Jaco and Dominical. However the main reason people flock here is because of the outstanding scenery, the blissful weather and the abundance of wildlife roaming free in the jungle. The park is home to over 350 species of birds alone. The most impressive ones that you are sure to see are the Toucan and the Scarlett Macaw. The monkeys always seem to steal the spotlight. There are four native species to the park which are the White Face Capuchin, Mantled Howler, Geoffrey Spider Monkey, and Squirrel Monkey. Within the park, there are a few white sand beaches where the monkeys like to hang around waiting for tourists to carelessly leave their lunch unattended. Another star in the park is the Two-Toed Sloth, although these lazy mammals are hard to spot. In fact, the sloth is known as the world’s slowest mammal. In Spanish they are called a Perezoso, which translates to lazy. 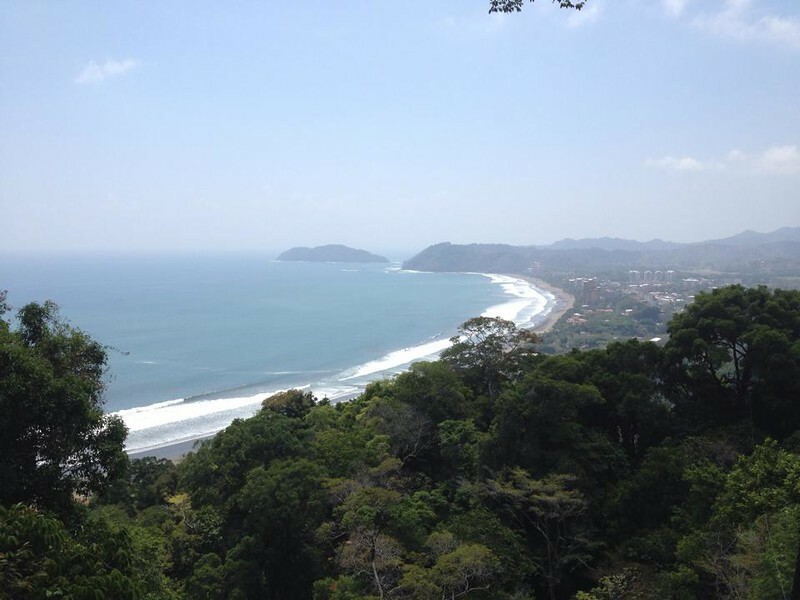 The town of Manuel Antonio sits just outside the park entrance. There are bountiful accommodations and some spectacular dining options in the town. The most famous place to dine is at El Avion, an unforgettable dining experience that has an old cargo plane perched up on the hill with amazing views, you can even get a drink or dine in the plane. There are also many adventure tours you can do in the area such as zip lining, rappelling, water rafting, ATV adventures, monkey tours, and there is a new avatar zip line that includes a roller coaster type zip line or you can choose to ride the bikes hanging from cables in the jungle. Translated to English this magic town would be called the fortune, a suiting name. 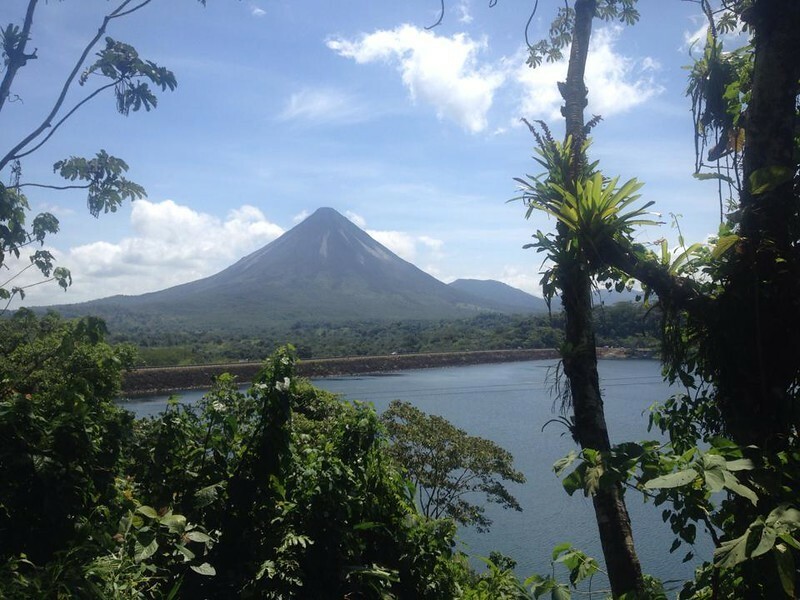 Most people come to the area to catch a view of Arenal Volcano. The Volcano can be seen from town on a clear day, making a perfect picture. There is also an aerial tram that takes people closer to the action of the volcano. Arenal was active up until 2010, it has remained dormant since. Up until 2010, you could see the lava glowing at the top of this impressive peak at night. The climate up in the mountains of Costa Rica where La Fortuna is located is practically perfect. The average temperature is around 27 degrees Celsius. Often there is an inviting breeze that cools you down keeping your body temperature just right. Natural hot springs and man-made hot springs in the area keep everyone relaxed to the ultimate level. There are also many rivers to swim in and some breathtaking waterfalls to explore. 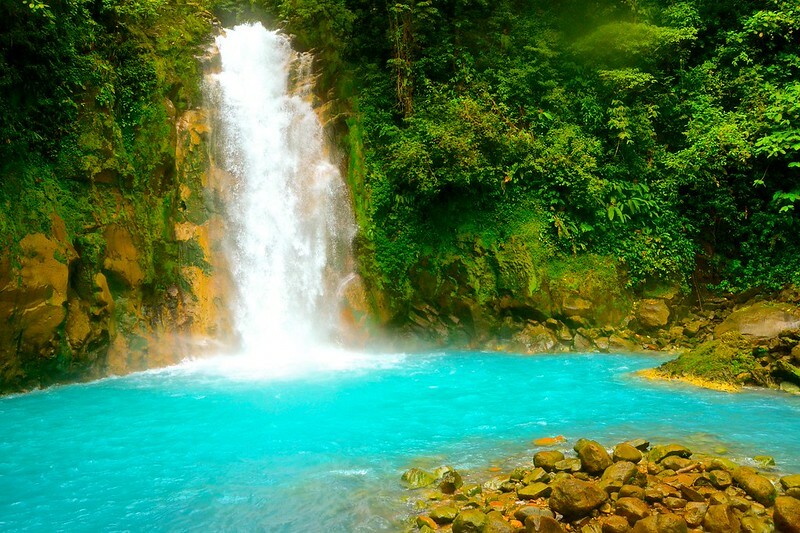 The words Rio celeste translates to light blue river. The river bottom contains natural minerals that turn the water a spectacular blue color sure to impress everyone. It is important to only go during the dry season from January to August to be safe. Although hiking in the park during the rainy season is still a good way to spend the day, the river will not be as clear blue as in the dry season. This location is a little out of the way but if you have a rented car, it is highly recommended. You can also find guided bus tours from La Fortuna that bring you to the river so you can just relax instead of driving yourself. The river is located within Tenorio Volcano National Park protected area. The area has several small hot springs to check out. There is a popular beach town on the pacific coast named Jaco that has been getting developed at a fast pace. The town attracts locals on the weekend from San Jose because this is the closest beach town to the city. They come to just hang out at the beach and enjoy the sunshine. At night, Jaco turns into a happening party town, there are several bars to hit up on the strip and even some casinos if you want to try your luck. The hot weather will have you content relaxing by the pool or hanging at the beach. If you are looking to learn how to surf there are very good instructors, the south end of the beach is perfect for learning how to surf. If you are looking for more of a challenge then the north end of Jaco is good or even better head to Playa Hermosa only 10 minutes south. Playa Hermosa is a must if you are staying in the area, there is a popular surf competition that is held every Saturday and this is a stellar way to enjoy the sunset and cold drink. You will never get bored around Jaco because there are many tours to keep your heart pumping at a fast pace. For the adventure type, there is rappelling, waterfall tours, ATV tours, zip lining, canyoning, kayaking and there is even a new ropes course that has obstacles in between the trees. For the older people that don’t want to work up a sweat, there are nature tours, a neo-fauna, and the crocodile tour is highly recommended. Jason is a Canadian expat who moved to Costa Rica in 2012. The new country is a challenge at times but overall he loves his new home. His company VacationRentalsCostaRica LLC keeps him busy but enjoys to surf and relax at the beach on his spare time.